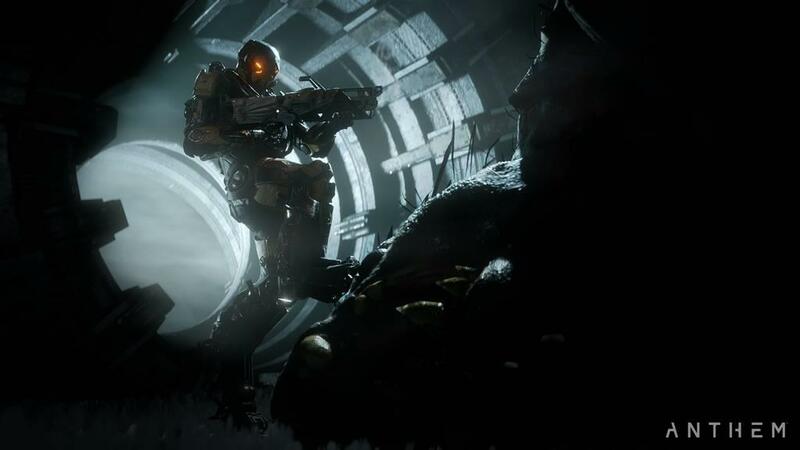 BioWare’s ambitious online multiplayer shooter/adventure game, Anthem, is due out next month. With the VIP demo this weekend and open demo the following weekend, I was invited out to EA Headquarters in Redwood Shores, California for a closed event to get hands on time with the game itself. 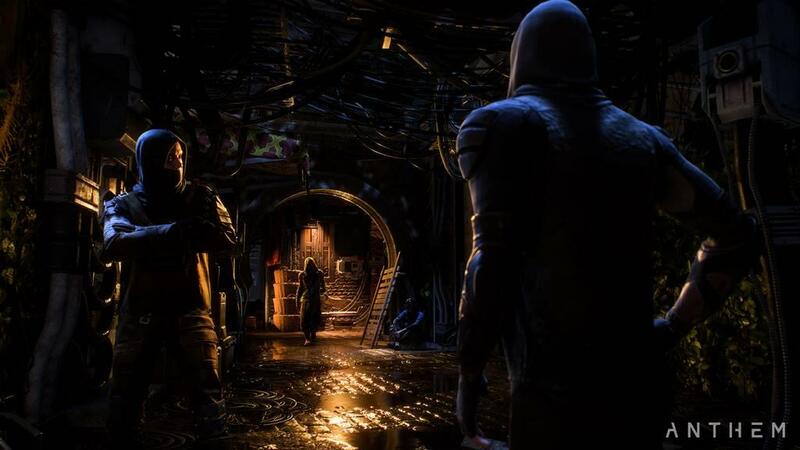 I promise you that there will be no spoilers to the party except in the ten minute gameplay video that will be attached to this article, and even then the only spoils will be the commentary you can hear and the checkpoints you can see. 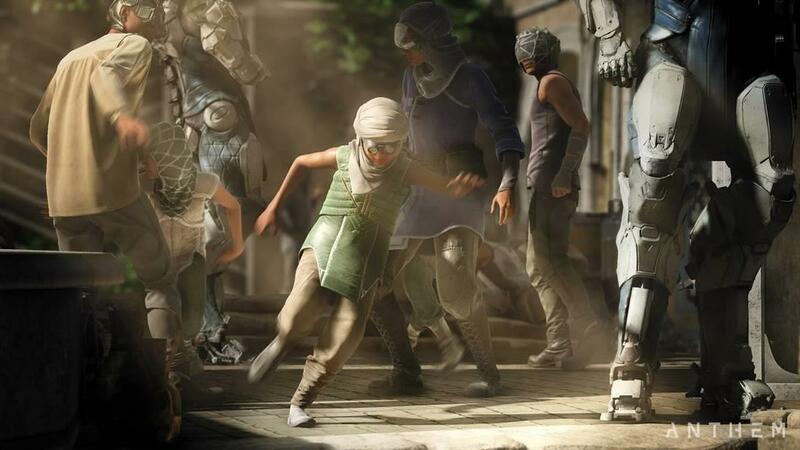 An immersive world that changes as you play. 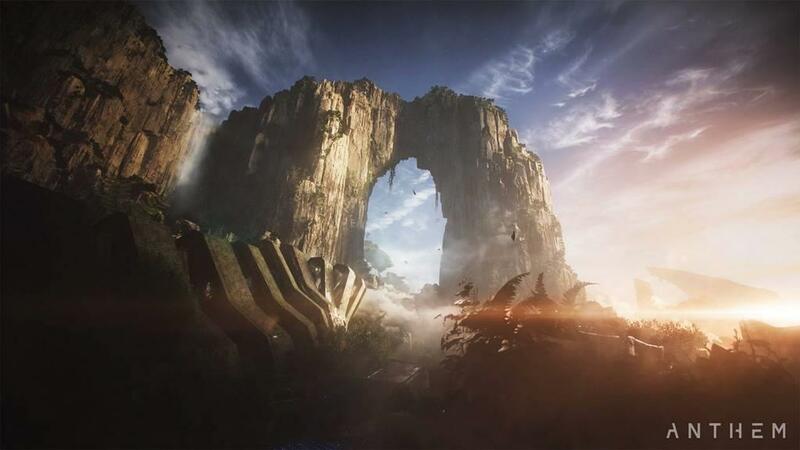 Anthem’s world is gorgeous. 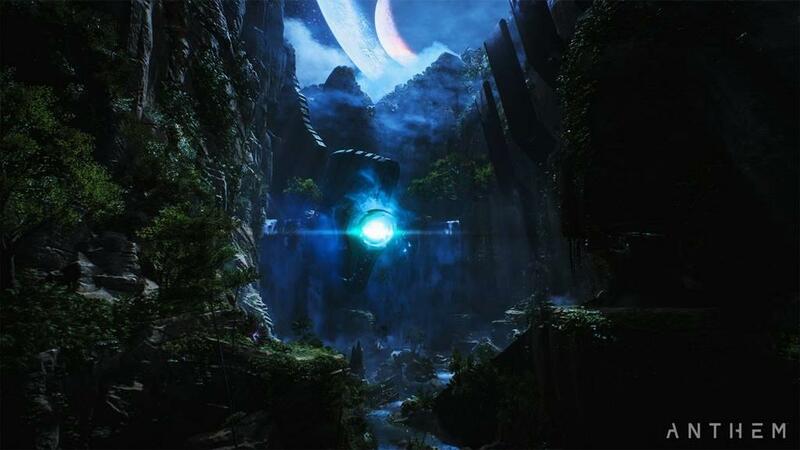 The first time stepping outside of your fort in your javelin, you’ll be greeted by a lush world full of beautiful scenery, waterfalls, hazards and, of course, enemies that are waiting to be attacked. 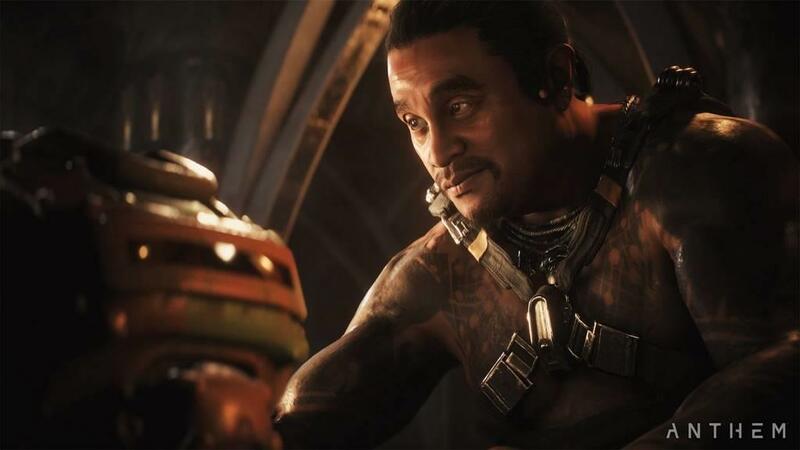 Anthem gives you every option possible to enjoy the game, whether it be quests, contracts, freeplay, missions, or strongholds. All of these will open up to the player as they progress through the game. 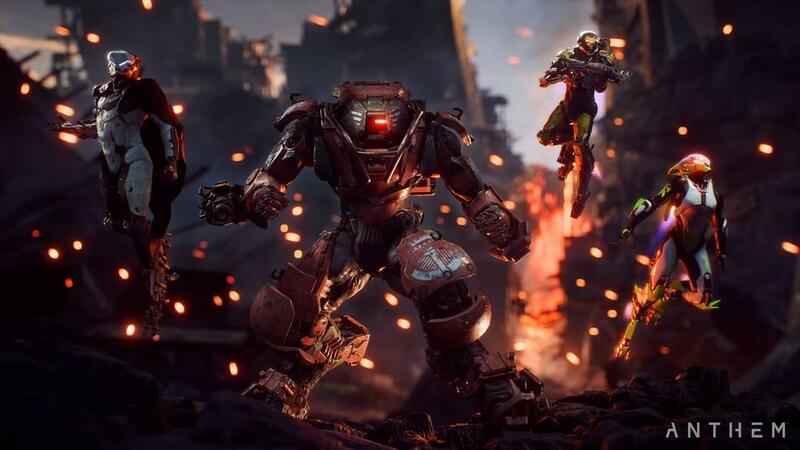 Early on, it’s all about completing the early quests and missions to gain some levels and unlock classes for your javelin. Ranger: This is your base class. It’s a balanced, jack of all trades class that is good at most everything but does not excel at any one thing. It’s a good damage dealer and can wield any weapon except for the heavy class of weaponry. Colossus: Heavy armor-based class. These are the big boys. They are not hard to miss as they have huge hulking bodies and can take the most damage, making them a solid tank class. The beauty of this class, though, is that it can also be used for range attacks given their special attacks. 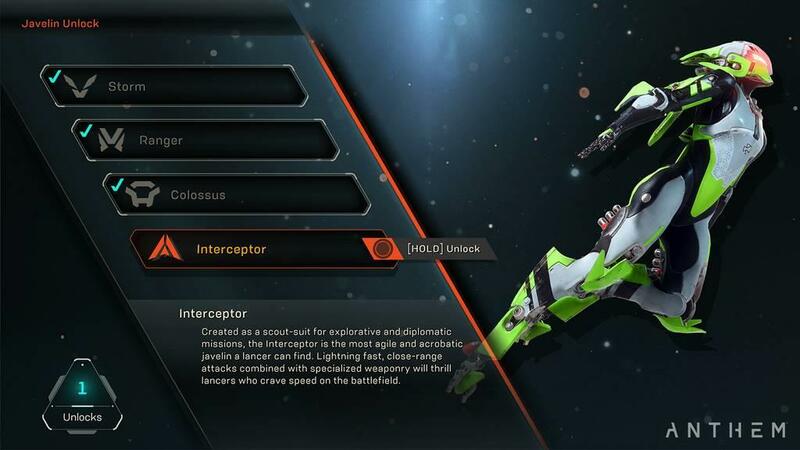 Interceptor: At our event, this was nicknamed Anthem’s “Ninja” class. It’s all about speed with the Interceptor. Light armor is all they can wield, but their ultimate attack is a flurry of attacks that can cut down enemies in a hurry. This class is one of the more difficult to learn as they are designed for up close combat while also needing to dodge in a hurry. Stick and move like a boxer! Storm: A true damage dealing class, the Storm class is all about using elemental attacks to blast enemies. Storm javelins are unique in that they are designed to float high above battle and rain down their attacks from above. The special abilities mix in Ice, Fire, and Lightning-based attacks that all have status effects on enemies. For example, most of the ice attacks can freeze enemies if they have enough damage done to them. After that, a few well placed shots and the enemies shatter. It’s a load of fun to play as. No matter which class a player goes with, they are not locked into it. Javelins are unlocked at levels 2, 6, 16, and 26. Hitting those milestones allows players to change things up more often if they want to use a new class. 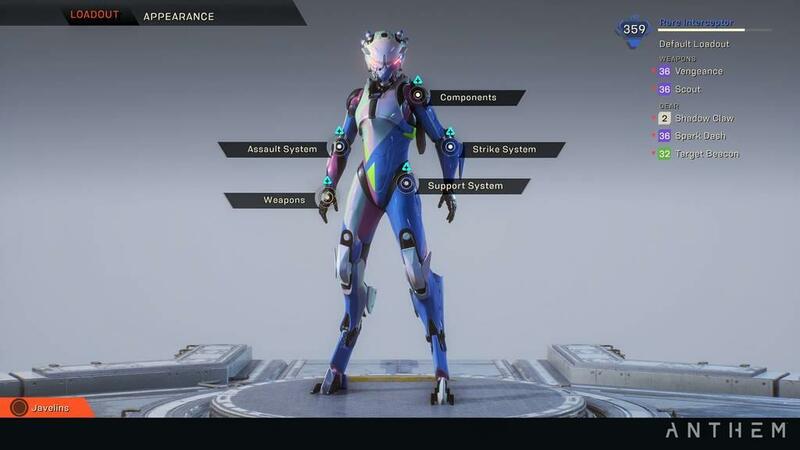 I think Anthem really nails it with this style. 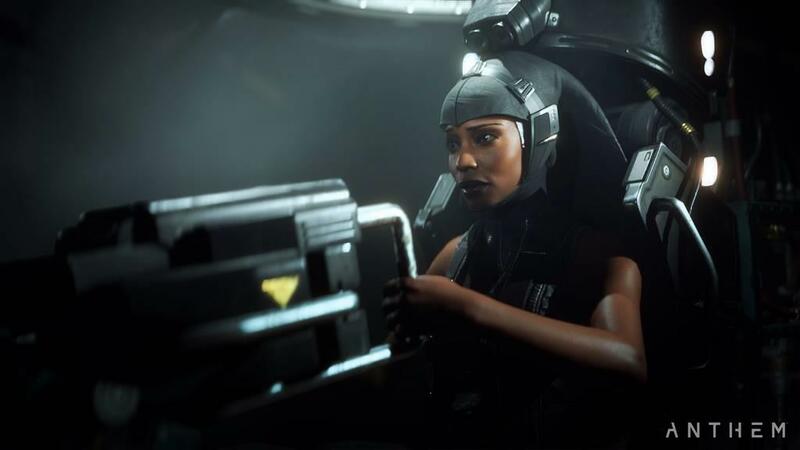 One of the problems that other MMOs and Social-based games is that they sometimes force you to make a new character and lose your progress just to use a different class. 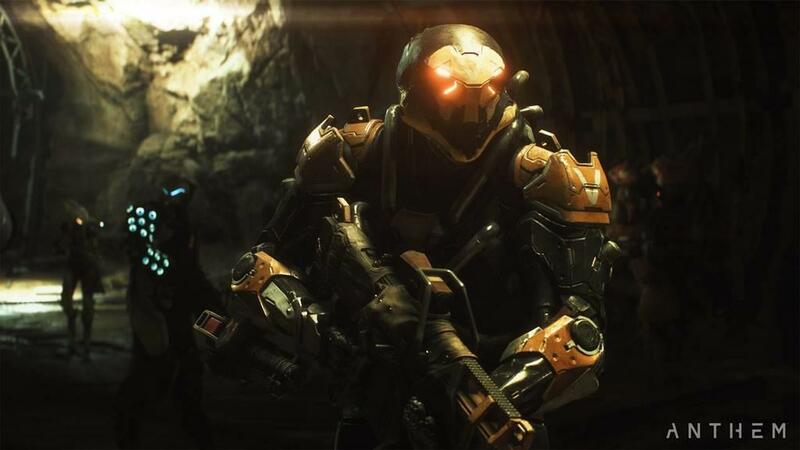 Anthem wants it to be easy and seamless, and all the weapons that you acquire can easily be armed on the new javelins, so long as they qualify to use them. And, let’s be honest, an Interceptor with heavy armor would just be silly. You will never, ever get sick of flying and exploring. I cannot stress enough how fun it is to just roam the world and fly around. Javelins can all fly, no matter what class is chosen. Suits do have a limitation on flight time based on the temperature. 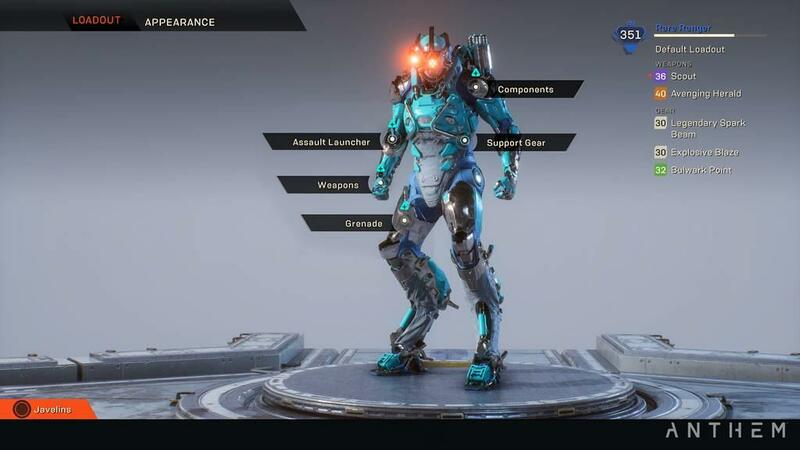 If a javelin reaches max temperature, the suit overheats and the player falls to the ground. Flying in rain helps extend the time a player can stay in the air while flying into a waterfall or pond will reset the temperature immediately. Paying attention to the surroundings is paramount if you don’t want to reset here and there by dropping to the ground and letting the javelin cool off for a few seconds. The flight controls were a bit cumbersome at first, especially using the keyboard/mouse combination. The Xbox One controller proved to be more stable, especially with the left stick allowing a player to roll left or right without moving the center point unless the right stick is moved. It’s one of those rare cases where the controller seems to get a leg up on keyboard/mouse combinations. Characters have a personality, and that’s truly welcome. One of the chief complaints that some MMOs get is that their character doesn’t actually say or do anything when interacting with NPCs. 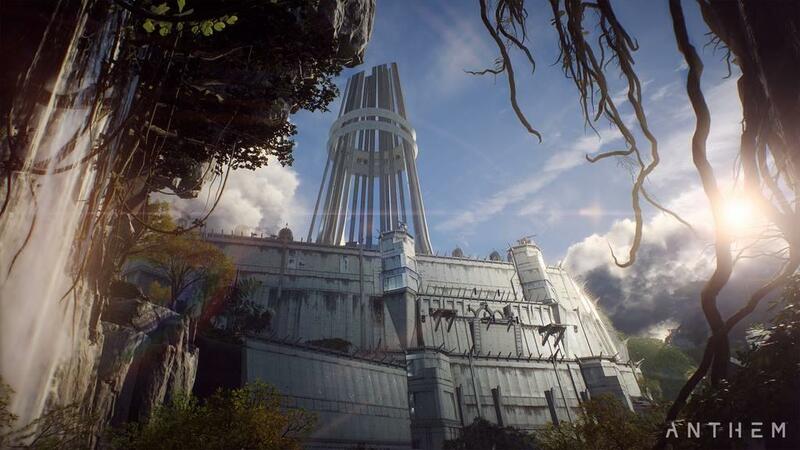 We’ve seen early instances going back to games such as Final Fantasy XI and World of Warcraft. Sure, the NPC will talk to you and tell you what to do but your character was essentially muted. 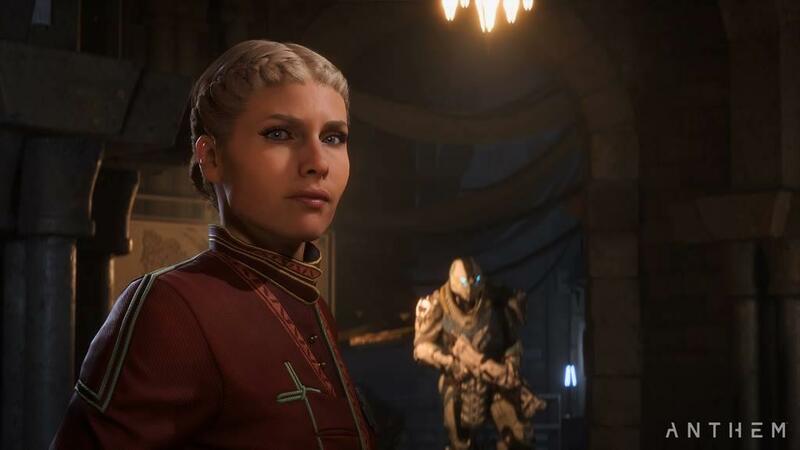 Without spoiling anything in the story, BioWare ensured that players can actually respond to questions based on their own choices. It’s the little things like that which make the game more enjoyable. 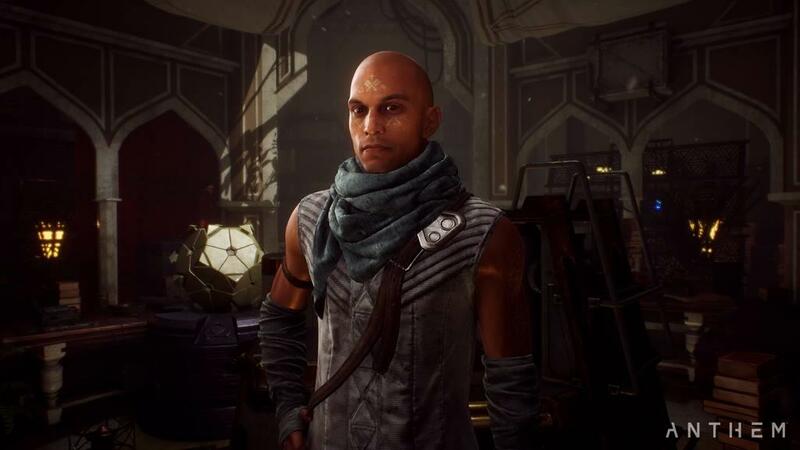 NPCs are not lacking in the personality department either. 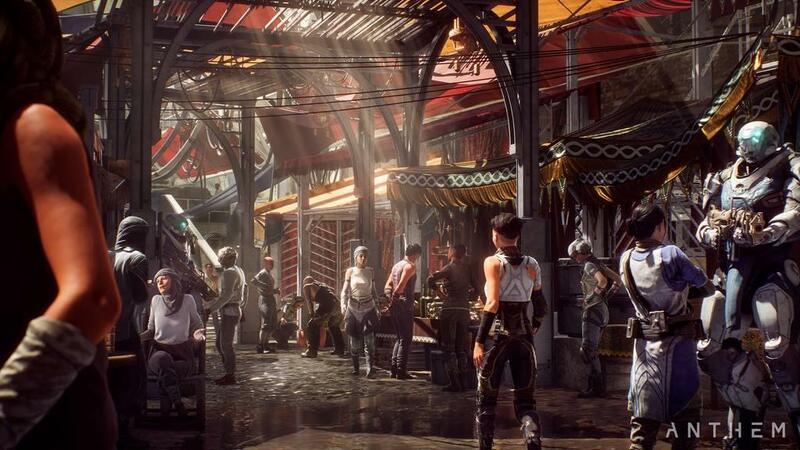 As the cast of characters grows and you learn who does what for your character to improve and advance, you really get to understand what drives them in the game, and that’s a lot more than some online games can say. The control scheme is very good….and better on the console. I brought this up earlier when talking about flying, but I had a more enjoyable experience playing this with a controller over keyboard/mouse combinations. There wasn’t anything really wrong with using the keyboard/mouse combination, and I usually do utilize them when playing shooters. Anthem is the exception to this. I felt more in control of my character and bounced off of far less walls when I was flying with the controller. Attacking enemies felt slightly better on the controller as well, but it’s easy to hit the wrong button given that a couple of them require a quick hold of the button instead of a rapid press. 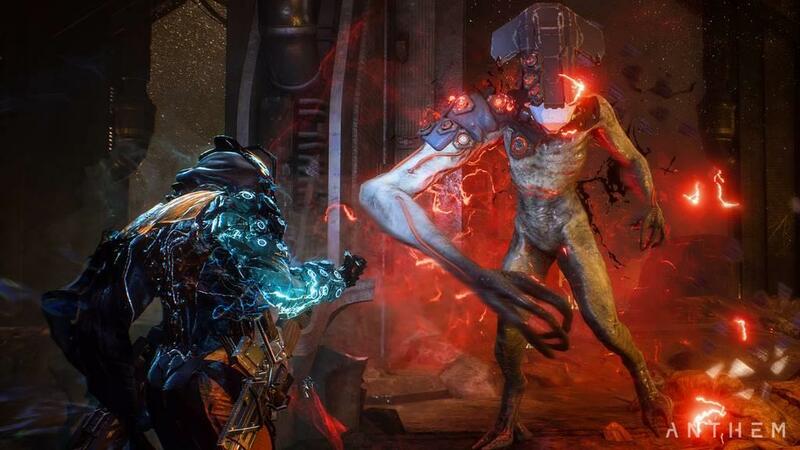 The gameplay is challenging enough to be fun and rewarding, all at once. 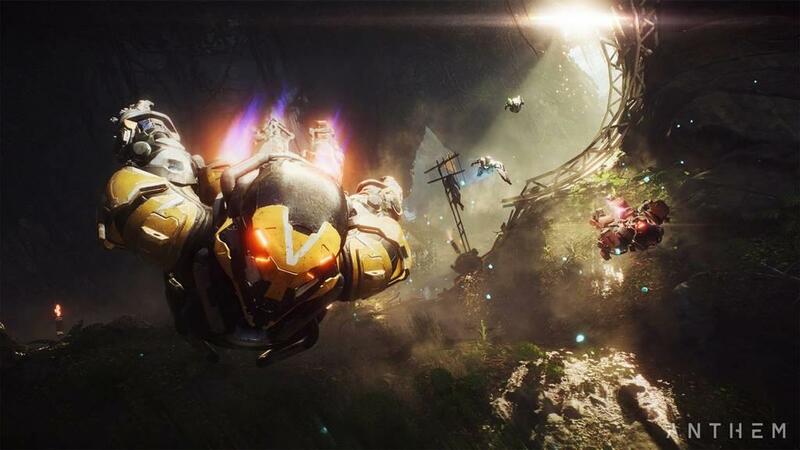 There are plenty of games that swing and miss on gameplay or content out of the gate for various reasons, but I don’t believe Anthem is going to have that issue. 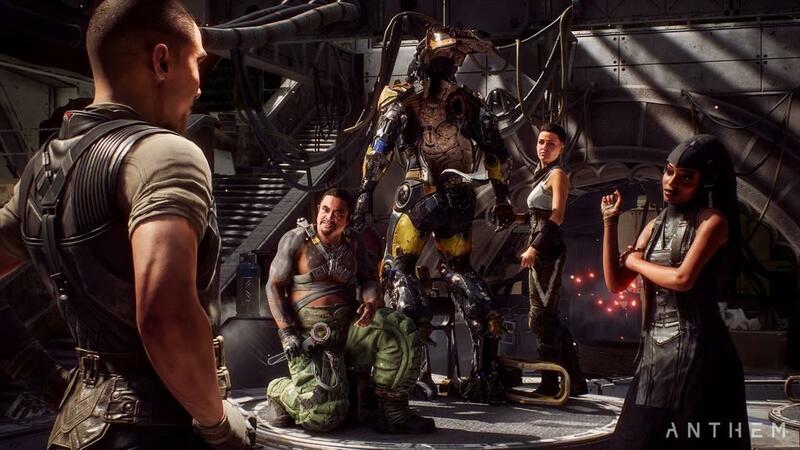 In the gameplay video that’s attached to this article, I think it’s shown easily that attacking enemies on your own or pairing up with teammates to take them down faster is easy as can be. 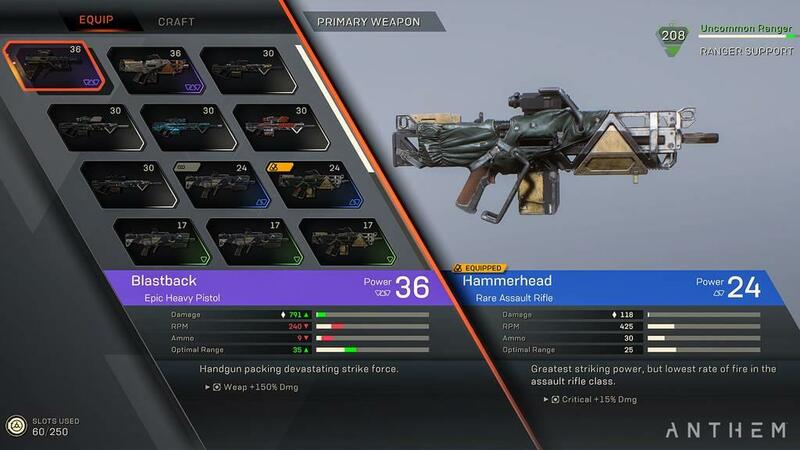 There are plenty of different weapon classes, such as pistols, cannons, machine pistols, machine guns, assault rifles, and so on. Using these weapons properly while also utilizing special powers at the right time will mean better damage and easier progression. This game is a bit punishing early on. At about the five minute point of the gameplay video, I’m paired up with a couple of other media members in freeplay mode. Our little journey took us to a small group of “elite” enemies, meaning they were stronger than the standard enemies. To our surprise, we did zero damage in the shots early on and realized that bringing their shields down was the only way to get at them for damage. Of course they hit like a truck early on, and that was entirely unexpected, even at just a few levels into the game. These are the things that will bring people back, though. You want a challenge in general, not a pushover of a game. 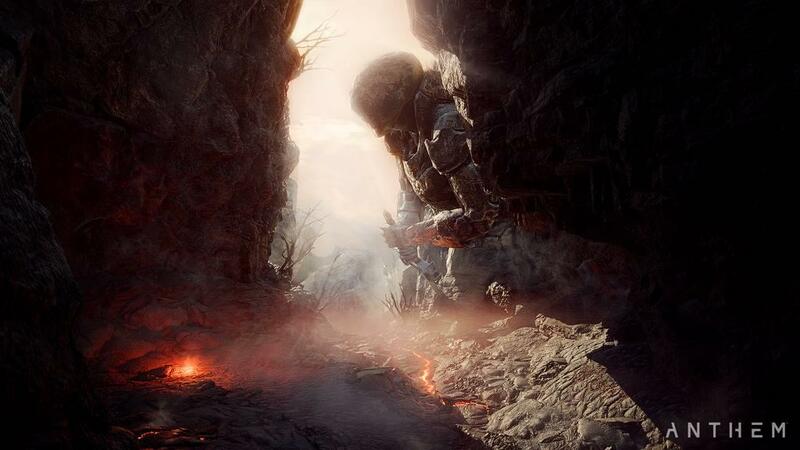 Missions in the map area will have different difficulties, increasing the rewards and experience that players earn. There are also badges that can be won based on gameplay style, and these will come with experience bonuses to ensure better leveling. Every mission, quest, etc is going to have its own set of rewards. Some will give you better experience while others may give you better weapons and armor. The direction of this game is right on track. What I played at EA HQ was not the finished product, but it was close to it. It wasn’t all positive, but the direction of the game is definitely on the right path. 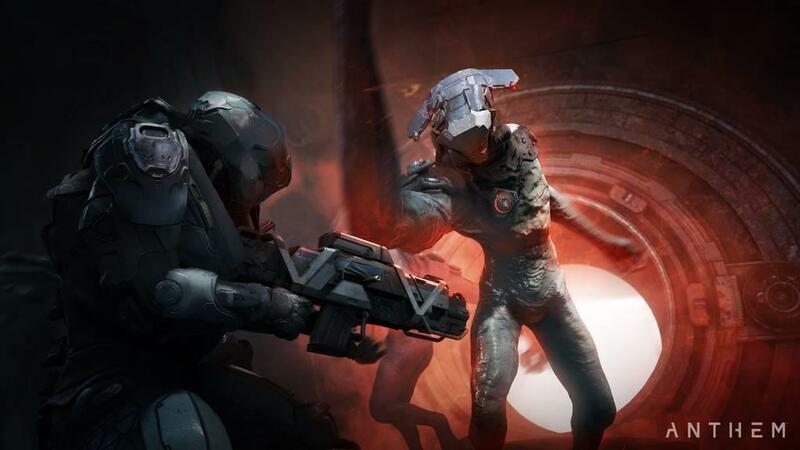 We experienced some bugs that did hinder the early progress of the game itself, though a lot of it was due to internet connections that was outside of the game’s responsibility. Players were losing their heads suddenly and they couldn’t arm anything or fly. Resetting the game fixed the issue and, ultimately, some changes were made to how we connected. After that, there were only some very minor issues such as a bit of delay in matchmaking or load screens taking longer than they should have. One of the issues I had during missions was a lack of sensible directions with the icons to advance. The game uses green arrows to try and guide you and your friends to the next major event, show in yellow triangles. Once reaching these vital areas, the next step of the quest or mission will happen and you can almost certainly expect to be attacked when this happens. Experience for everyone! Wrap up time: What’s the overall feeling? I’m very excited for this game. 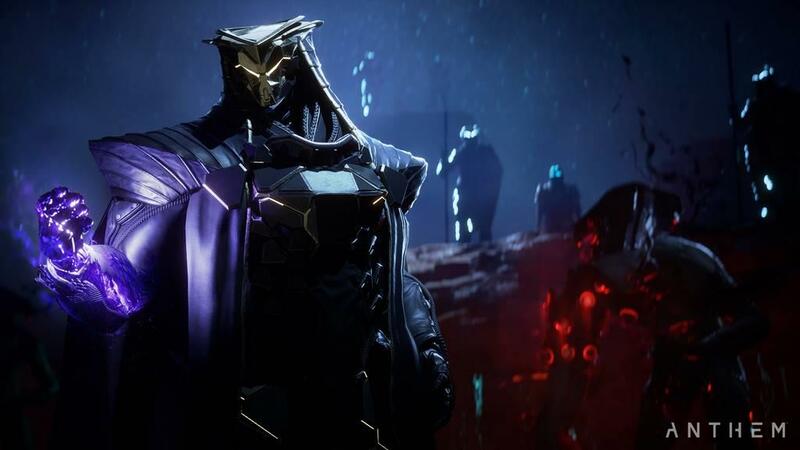 The demo this weekend and next will give us some more insight on how the overall community feels with the game, but most every colleague I spoke with at the event enjoyed their experience with Anthem. 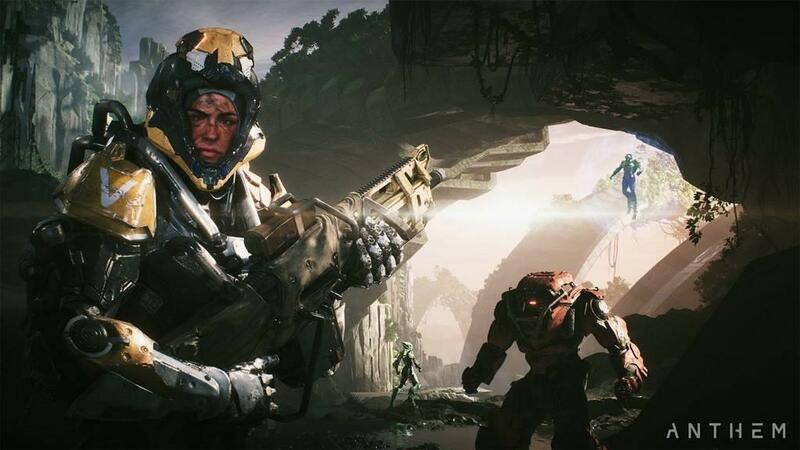 The gameplay is very fun and each javelin has something for everyone to enjoy. Missions and storyline quests actually do paint the picture of an enjoyable storyline that will not be spoiled in this piece. Controls are great even if you opt for keyboard/mouse and while the audio chat on the PC wasn’t perfect, I’d wager to bet that people will have their own voice servers up for this one. There’s a lot to love with what I saw. If you get a chance to hop into the demo either this weekend or next and you’re even remotely interested in trying out, get in here and play. 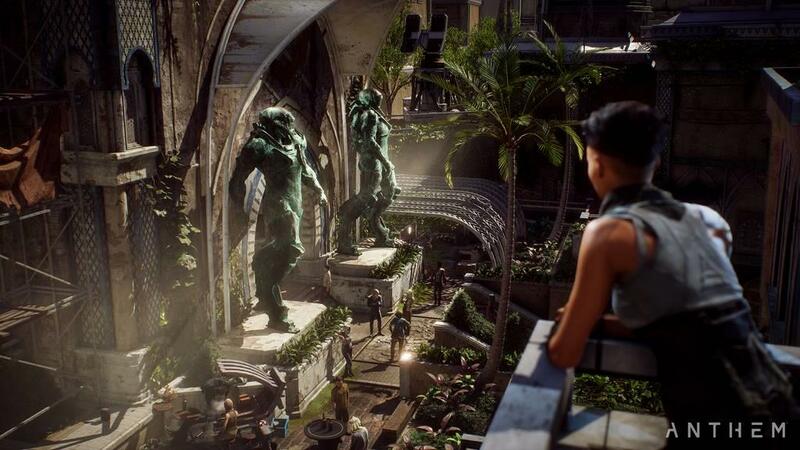 The scenery is beautiful, the enemies are plentiful and a great challenge, and the missions themselves are quite immersive and mix it up when it comes to keeping the challenges fresh. I won’t elaborate any further, but believe me when missions will test every bit of your skill and critical thinking. 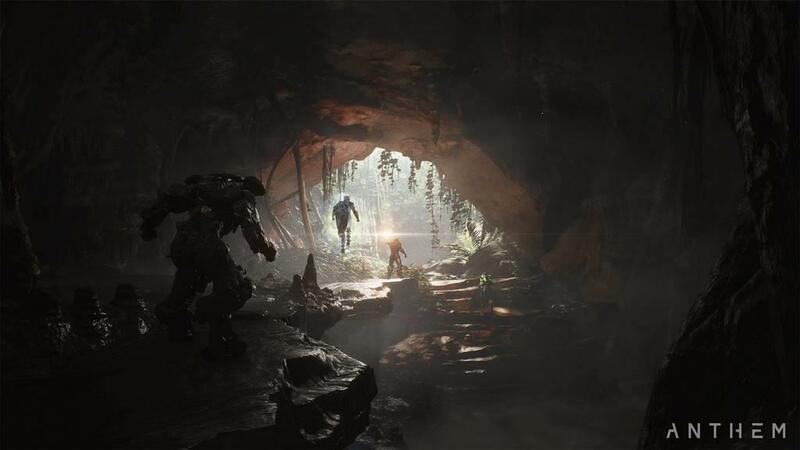 Anthem is officially released on February 22, 2019, on Xbox One, PlayStation 4, and PC. 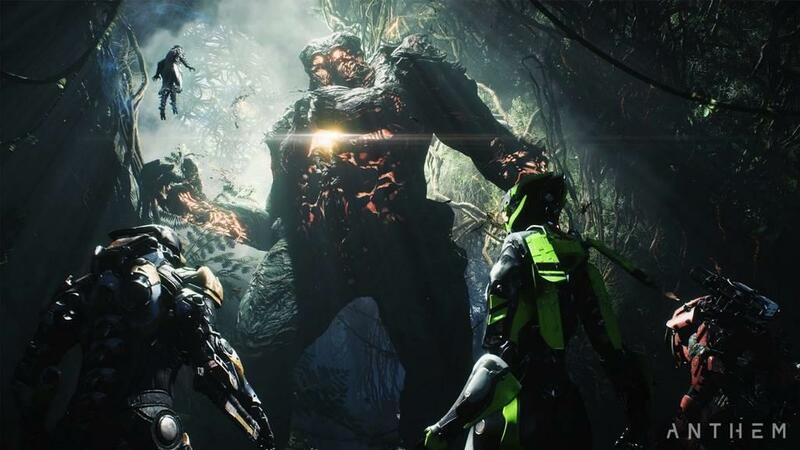 There is still time to get into the demo for next weekend, so be sure to visit the Anthem homepage and try to sign up for your chance to play the game and make a decision for yourself.